After several years of contraction fueled by the rise of cloud computing, the power protection industry is growing again. Eaton's strategy for riding that wave stresses integrating with cloud orchestration and hyperconverged infrastructure solutions. Monetizing software and services, targeting mid-market opportunities, and protecting switch hardware are additional focus areas. Humility isn’t a quality commonly associated with major technology vendors. Eaton Corp. is one of the rare exceptions. “Nobody cares about power,” says Herve Tardy, vice president and general manager of Eaton’s distributed power quality unit for the Americas. More precisely, he clarifies, technical decision-makers know that uninterruptible power systems, power distribution units, and other IT power-related products matter, but are rarely willing to spend more than 30 seconds discussing them. Consequently, vendors like Eaton must make the most of that limited attention by delivering easily-deployed and operated solutions with concise, compelling value propositions. For Eaton under Tardy’s leadership, keeping it simple has meant looking for opportunities to add power management capabilities to the administrative solutions that businesses and managed service providers already use. 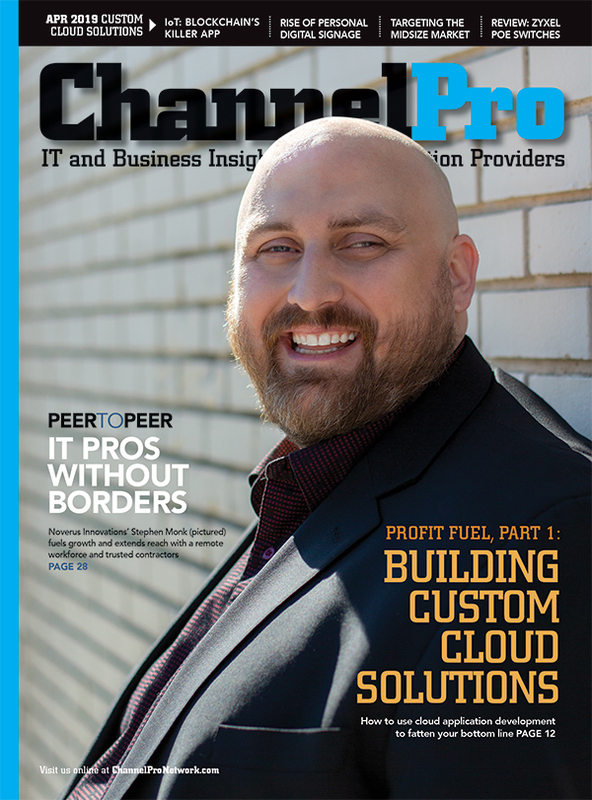 “I don’t want to be an end-to-end solution provider for power. I want to integrate with whatever the customer has today that will make it easy for him to really leverage the value-add that we can provide,” Tardy says. The most successful manifestation of that strategy to date is the plug-in application that embeds Eaton’s Intelligent Power Manager solution directly inside VMware’s vCenter Server virtualization management system. Technicians can then administer UPS hardware directly via the vCenter Server interface, and can automatically migrate virtual machines to backup facilities during power outages as well. According to Tardy, the software has played a pivotal role in the company’s ascent from power industry latecomer to top name in crucial market segments. It hasn’t been easy lately though. Cloud computing has SMBs in particular shifting workloads from locally hosted servers that need power protection to offsite data centers, the largest of which employ sophisticated software-based failover strategies rather than UPS hardware to ensure redundancy. Those trends, Tardy says, have driven industry-wide power product sales down, albeit at single-digit rates, in recent years. Now, however, the first signs of a turnaround are appearing. “For the last three, four months we’ve seen the market picking up again,” says Tardy, who predicts roughly three percent growth for the power industry as a whole this year and bigger returns in 2017 and beyond. Last week, at its sixth annual, invitation-only partner summit in Huntington Beach, Calif., Eaton shared its strategy for riding that wave with 35 of the most committed members of its channel, ranging in size from giant distributors to SMB-focused resellers. 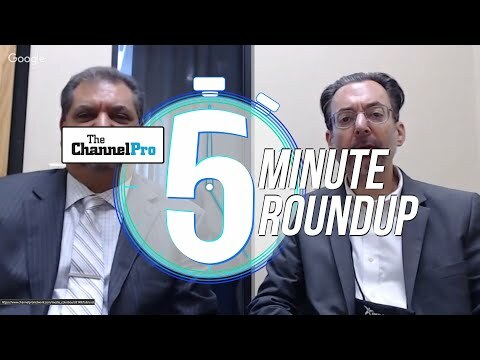 In its presentations to that audience, as well as exclusive interviews with ChannelPro, company executives outlined a plan for the future based on the same principles that have informed Eaton’s past: Keep it simple and integrate wherever possible with solutions that people actually care about. Those include cloud orchestration systems at present, which is why the latest edition of Intelligent Power Manager integrates via plug-in with VMware’s vRealize Operations platform much as it does with vCenter Server. It also explains why Eaton is developing APIs for its power distribution units based on the REST protocol, which is widely used in software-defined infrastructure solutions. “Going forward, the PDU will really be the smart device everyone wants to access” via management software, Tardy predicts, because it enables data center and server room administrators to boost energy efficiency by optimizing power flows to IT hardware. With sales of converged and hyperconverged infrastructure solutions up 8.3 percent last year to $10.6 billion globally, according to IDC, Eaton is actively building power management capabilities into products from companies like Nutanix and SimpliVity too. That’s a smart move, according to summit attendee Dave Levin, senior director of partner strategy at Claremont, N.H.-based integrator Red River, because momentum for converged and hyperconverged solutions is building rapidly at present. “By 2017, it’s going to be a lot more than momentum. It’s going to be big,” he says, adding that Eaton is wise to glom onto that growth. “It’s great that they find ways to hitch their wagon to the right solutions,” Levin states. 1) Monetizing software and services: In the past, buyers of Eaton’s UPS hardware got Intelligent Power Manager for free. “Giving away what is your biggest growth opportunity doesn’t make any sense,” Tardy says. As a result, Intelligent Power Manager 1.52, which debuted in February, is the first release of the product that customers must pay for, if only a little. Prices for the new system top out at a modest $10,000 for the largest deployments. Tardy has been encouraged by the initial response to the change. “Partners say ‘great, I can make money on this now.’ Customers don’t object either. They expect to pay for software,” he states. Partners can make additional money selling software updates, Tardy adds, and can collect service revenue on top of that by deploying and configuring the software, upgrading UPS network communication cards, and replacing UPS batteries. 2) Targeting midmarket companies: With power protection needs waning among small businesses at one end of the spectrum and hyperscale cloud operators at the other, the vast mid-market space in between is currently Eaton’s most promising growth segment. 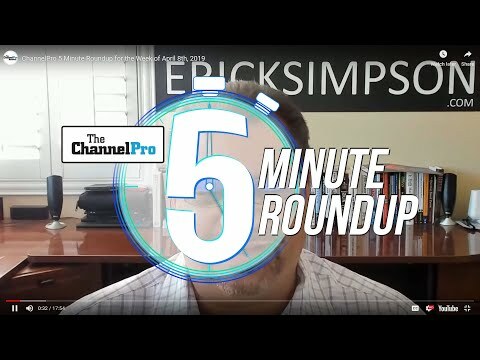 As a result, the company revamped its mid-market salesforce earlier this month, consolidating resources scattered across different parts of the company into three centralized groups focused on partner development, end user sales prospecting, and application engineering guidance. Curtiz Gangi, vice president of U.S. channels for Eaton’s data center segment, says the company is adding staff in all three areas too. Getting the newly-formed organization fully up and running will be his team’s main preoccupation in 2016, he states, but by next year partners should start seeing sales leads arrive in greater numbers. 3) Power over Ethernet switches: The same forces spurring small businesses and others to shift server workloads into the cloud are inspiring those companies to invest in power protection solutions for the on-premises switches they use to access the cloud.